Today the 2018 Major League Baseball season starts. On Opening Day, fans of every team can approach the new season with optimism that this might just be the year for their team to win it all. Fans of the Cleveland Indians, like Russell and UJ and me, are hoping that, on this 70th anniversary of the Tribe’s last World Series title, this might be the year that the team ends a very long drought. With the winless streak now celebrating its 70th birthday, we think it’s time for its mandatory retirement. And after last season, where Cleveland won more than 100 games but lost to the Damn Yankees in the playoffs, Tribe fans are hoping that the team has the pieces in place to make another legitimate run for the championship banner. 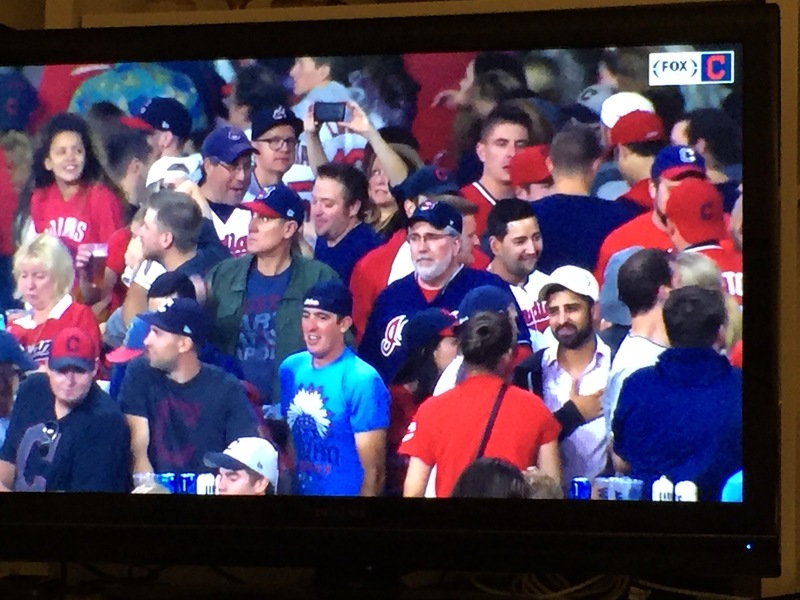 But Tribe fans are not alone, of course. The start of baseball season is great, because every baseball fan everywhere feels inward optimism about their squad, even if they won’t admit it publicly. Lightning can and does strike. Sometimes teams just gel, and unlikely heroes emerge, and rookie phenoms actually pan out. Every year, it seems, there is a Cinderella story, and at the start of the season every fan hopes that their team will end up donning the glass slipper. The sense of hopefulness and possibility is intoxicating — but also can be brief and ruined by reality. This year, though, at least for those of us in the Midwest and East who’ve been enduring the Winter that Won’t Go Away, there’s another reason to celebrate the arrival of baseball’s Opening Day. If the Summer Game is finally here, we can hope that summer itself isn’t far behind. Well, the Tribe just made history, with the longest consecutive win streak in baseball history. 22 wins in a row! It was a great, tough, hard-fought game — more like a playoff game than a regular season game in September. Astonishing stuff! Let’s go for 23! The last few weeks have been glorious times for the Cleveland Indians and their fans. With last night’s victory over Baltimore, the Tribe has now won 16 games in a row. With every triumph, the streak seems to set a new record. It’s the longest winning streak in the history of the Indians ball club, and the longest streak in the major league since 2002. It’s only the third time since 1961 that a major league baseball team has won at least 16 games in a row. It’s nice to know, too, that Russell, UJ and I got to see part of the history. We witnessed two of the wins on the streak, when the Tribe shut out the Royals back to back for wins 3 and 4 two weeks ago. 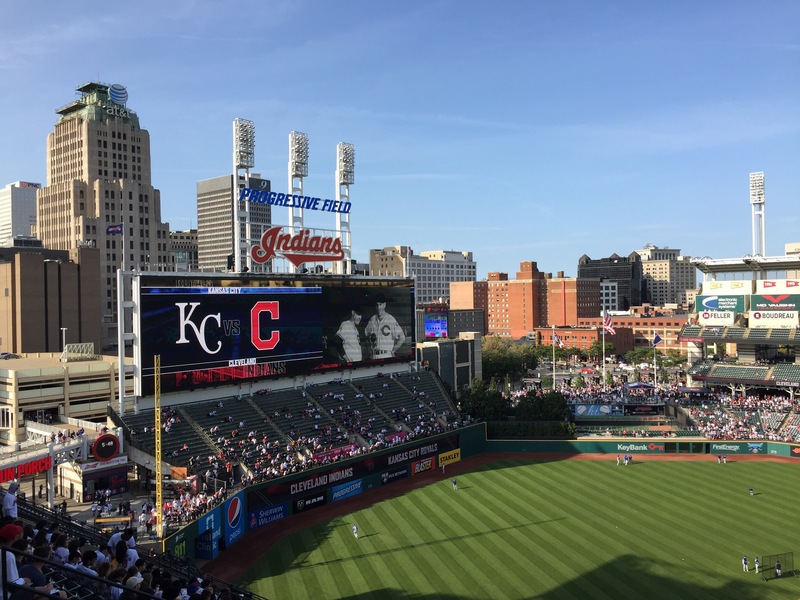 The games we saw against Kansas City were a microcosm of the streak, because the Tribe has been doing it with the basics: excellent starting pitching, solid bullpen work, good defense, and timely hitting, often with power. The streak has been particularly impressive because the team has won many of the games on the road while overcoming lots of injuries to key players, like Andrew Miller and Jason Kipnis. And the players themselves don’t seem to be fazed by the team’s success and are just going out and playing one game at a time. Every streak ends, of course, but this one has been lots of fun to relish.